Ah, Spring! One of the most wonderful times of the year. The warm sun, the cool mornings and outdoor dinners. I just love it all. It is also the season to bring color into your home, and one of the easiest ways to do that is though pillows! Here are some of my recent favorite pillow finds. I love to mix patterns whenever I get the chance to, and I can see many of these pillow being mixed together very well! 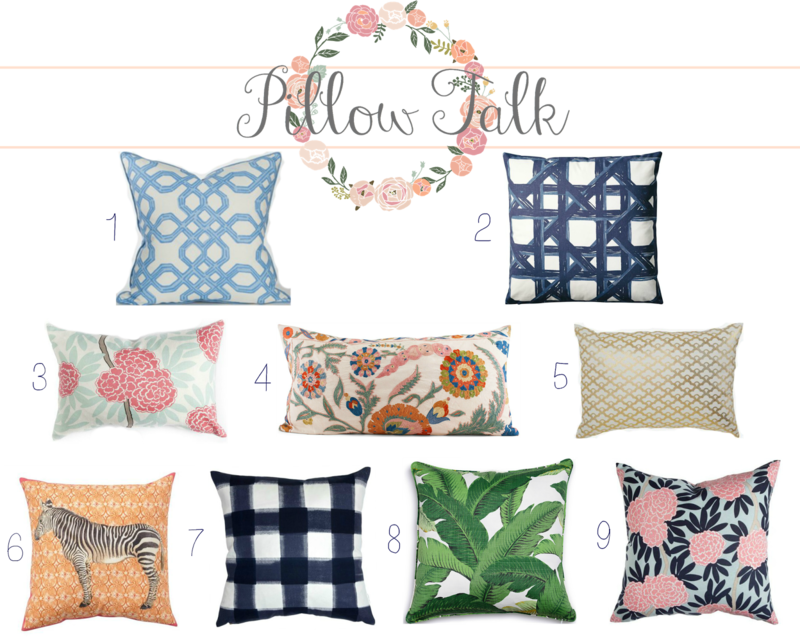 Here are 5 of my favorite combinations of the above pillows. 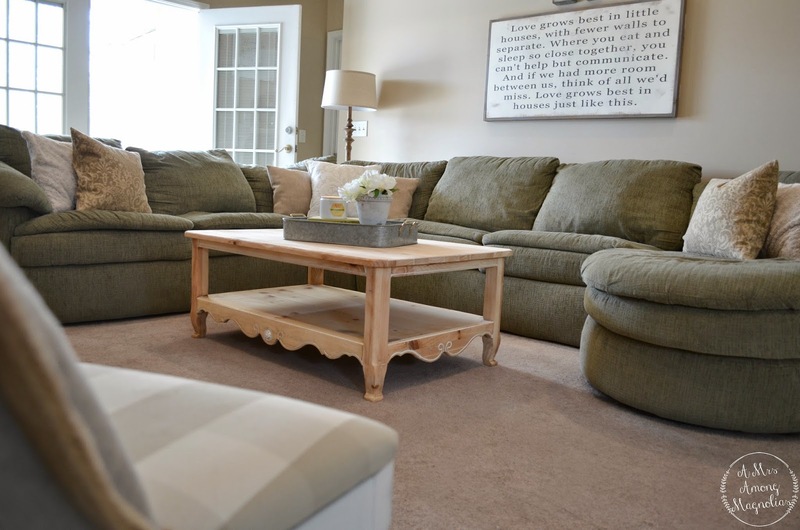 We have a fairly large sectional in our living room, so what I like to do is have a few pillows that are neutral and can be used for every season, then I will mix in some other accent pillow with the seasons to add texture and color to the space. After Christmas, I went with a winter white theme and added white accent pillows. It was a nice clean look after all the rich Christmas colors that filled our house. Now, Im excited to add some color and make the room feel more warm and springy! The tan paisley pillow cases I have had for about 3 years, and since then I have had them on our couch. I love mixing them with these Pottery Barn Classic Stripe pillows. They are indoor/outdoor pillow so they are perfect if you have a family that is rough on pillows like mine is! To go along with the pillow rearranging, I also moved my pink winged back chair into the living room. I am loving how it looks! I don't know why I didn't think to move it in there before. I hope you are now in a spring cleaning and brightening up mood! Find yourself some bright pillow and brighten up your space! Loving those pillow options! I'm in the process of making our new living room pillows. 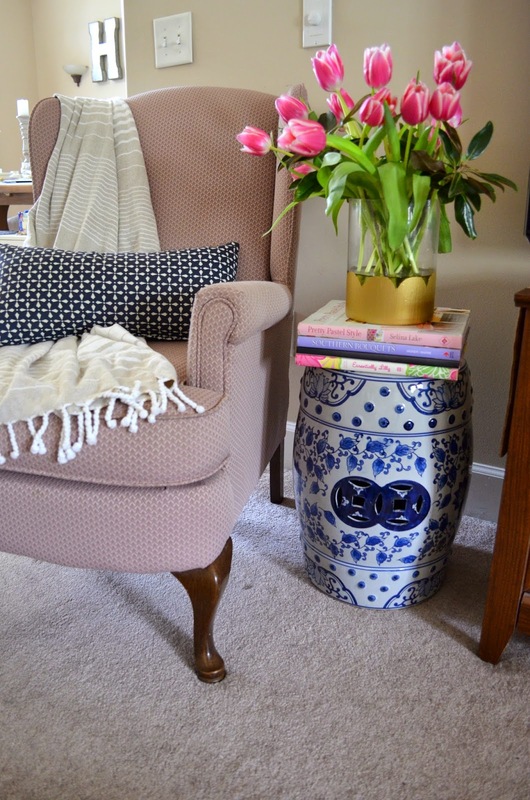 Pillows are so expensive and I've found that it's so much cheaper to just make your own (: & please tell me you have a tutorial for that scalloped vase! I'm dying over here! Happy Wednesday!